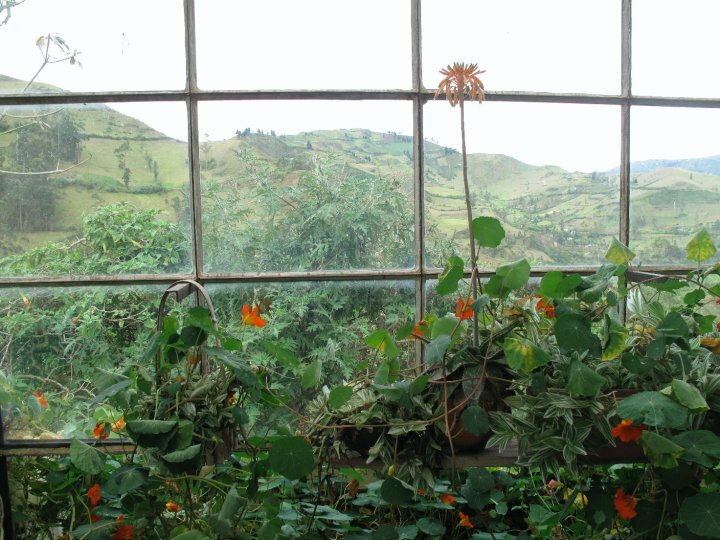 One summer when I was in college, my sister and I went to Ecuador. Highlights of the trip included an Amazonian tour guide singing “My Heart Will Go On” in Spanish as he rowed the two us back to civilization, playing barefoot volleyball on a deserted stretch of beach and needing to continually run into the sharp “pica pica” plants to fetch the ball, and peeing from a composting toilet in the Andes, where the mountains and fields literally sprawled out from the bathroom’s edge. a pee with a view! The trip was all roses until the last night, when our evil hostel-mate in Quito stole Rachel’s cell phone. After Rachel had continuously berated me the whole trip for misplacing passports, money, cameras, bus tickets, etc. I would like to state for the record that even though my things get disorganized, I don’t lose them. Preach it. The culinary high point of the trip for me was consuming the world’s most perfect scrambled eggs in a rundown roadside inn outside Papallacta. This is not a knock at the food I ate in Ecuador, it’s just that those eggs were SO GOOD. I would give anything to know the secret (probably minutes-old eggs and more butter than I want to think about.) I also fondly remember dinner from the night we stayed at the hostel connected to the World’s Most Beautiful Bathroom. It was a simple brothy quinoa stew, probably made with vegetables from the yard and quinoa from the neighboring hilly farm patches. 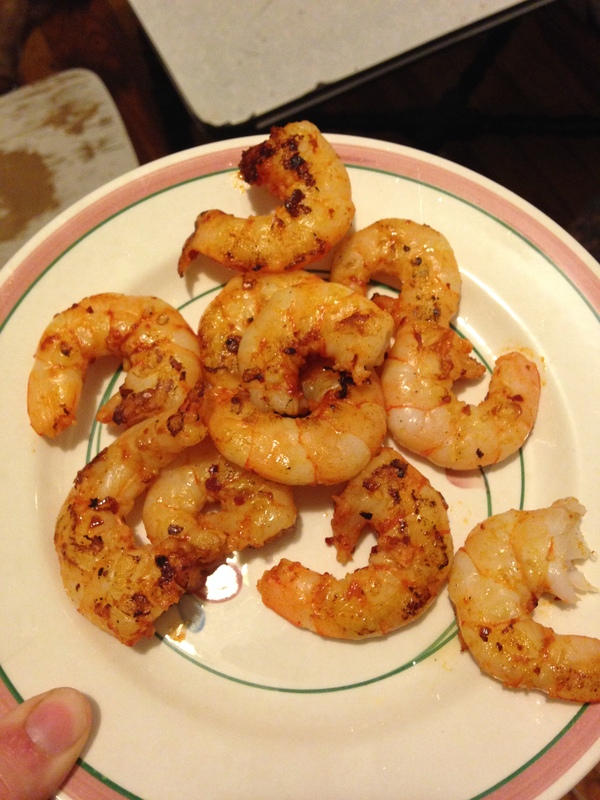 This version is similarly simple and delicious. We used spicy pan-fried shrimp and corn from the cob, but you could easily add stewed chicken, avocado, little potatoes, cotija cheese. Etc. In a medium large pot, add enough olive oil to coat the bottom. Add onions and garlic and cook on medium-high heat until the onions start to soften and everything smells good, about 5 minutes. Add the quinoa and stir constantly for a minute, until the quinoa is incorporated, toasty, and evenly coated. Next add broth, cilantro, and a good sprinkle of salt and pepper. Bring mixture to a boil, and then simmer uncovered for about 15 minutes, until quinoa is cooked. 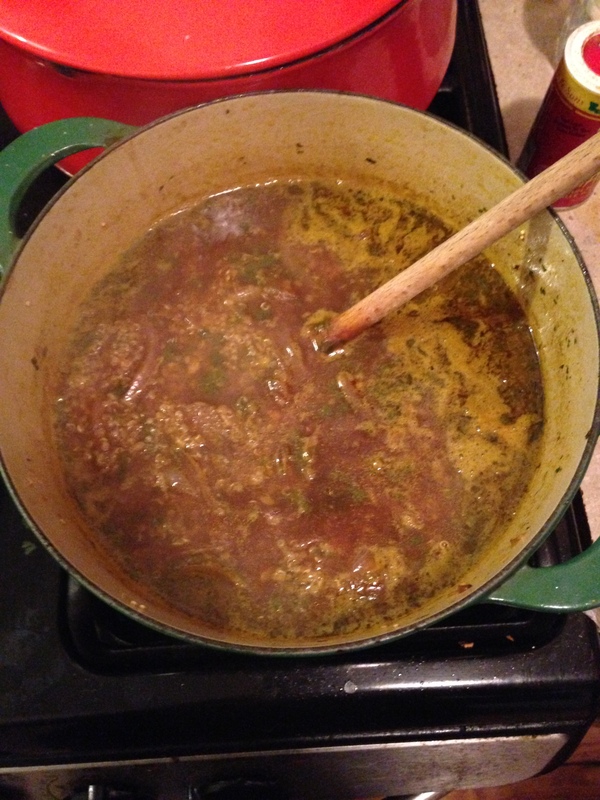 Keep an eye on it, and add water or extra broth if too much liquid evaporates. Meanwhile, cook corn in desired methods. 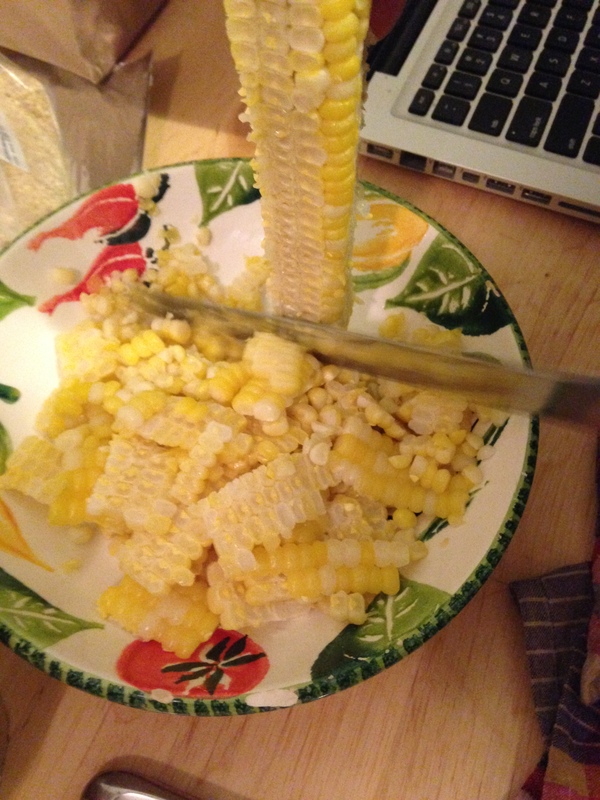 We simply husked the ears and boiled them, and then cut kernels off the cob and it was delicious. Feel free to roast or grill instead. Before serving, add chili powder, coriander, and juice from a lime. 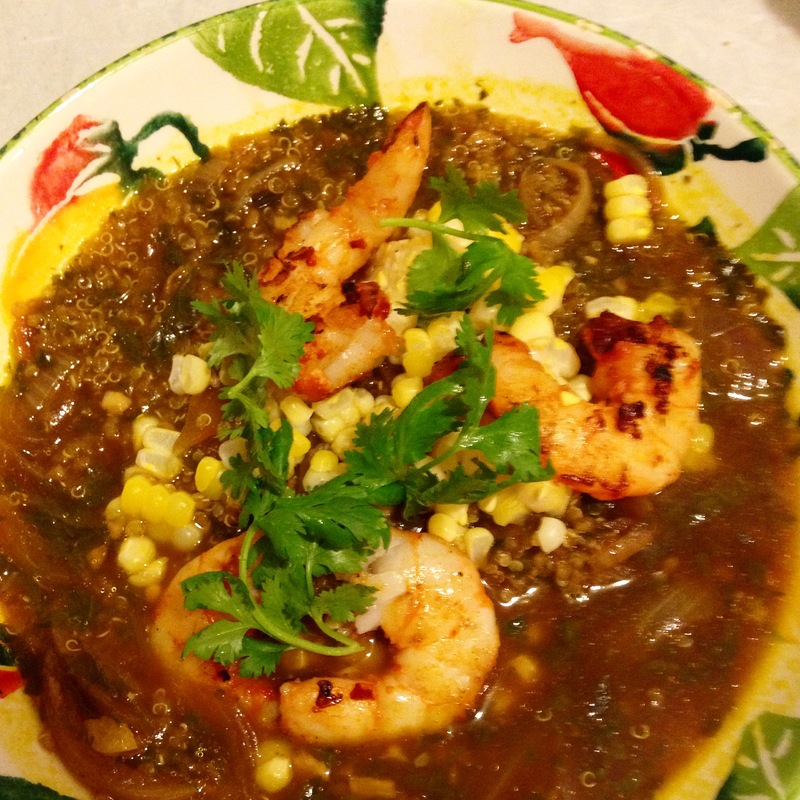 Spoon into bowls and top with extra chopped cilantro, shrimp, and corn! 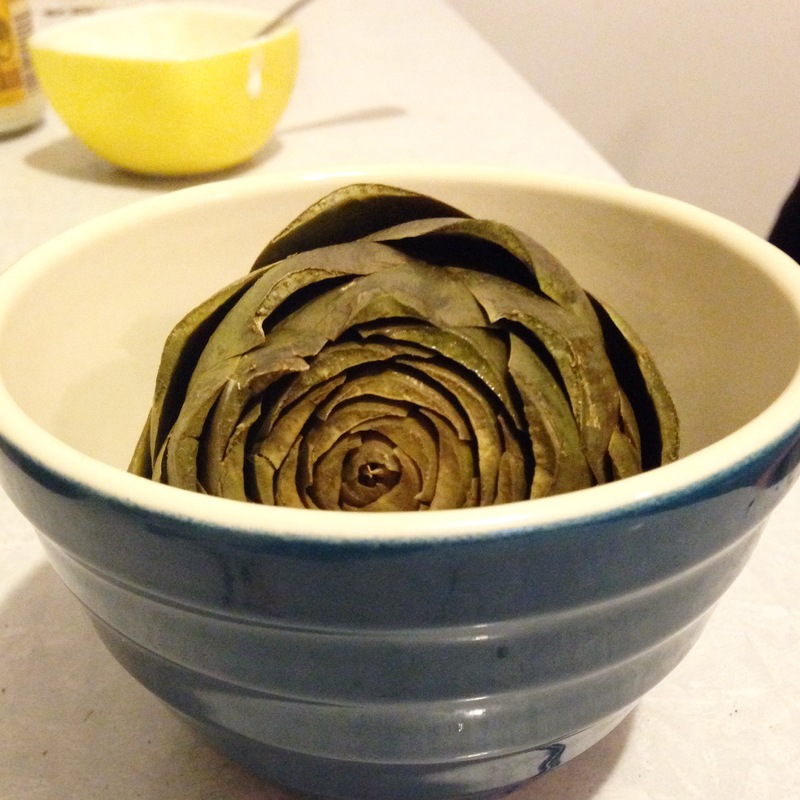 SIDENOTE: This is the artichoke we ate as an appetizer. It’s just so darn cute. Also it was only $1. Somehow, I’ve never made myself artichokes before and had to call my Mom to ask a) how to cook them, and b) her amazing sauce recipe from my childhood. Turns out it’s just mayo + lemon juice. But ya know what tasted great as a 10 year old also tastes great as a 24 year old. Thank goodness.